Last month I attended the Simply & Nylon Magazine Holiday Party at the Liberace Penthouse in Los Angeles. I went with my good friend Maxine, of Vanity Girl Hollywood, (who recently launched her pop up store which includes this gorgeous travel vanity...but, I digress)! 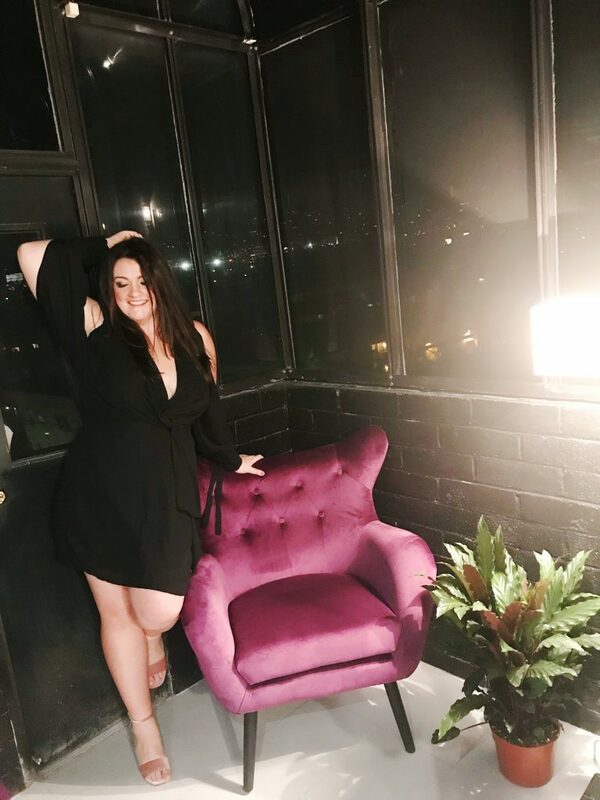 And while we are lucky to attend these parties in LA, she sat down with me to share some share some of the highlights so that they can inspire your upcoming parties too. 1. The Invitation: Yes, you can spend lots of money on elaborate invitations – but the SIMPLY team kept it … well … simple. They used email but what I loved about it is that they told me the highlights of the party which made me want to come even more. And the most important part – they shared parking info (hello, so important here in LA) which let us all know that they were generously offering hosted valet parking. 2. Valet Parking: This is a must in LA, but I get it — sometimes it’s just too hard to arrange. Therefore, a simple line like “Uber recommended” or better yet – an Uber Code can really help get people to the soiree. A publicist offered this to us for a beauty launch that she was doing downtown, and it made all the difference. 3. Manicure Station: This is always a hit at a beauty event. (I recently saw ACHI doing this at the Foray house and of course at their own launch party). This night, I opted for a purple sparkly coat to hide the desperate need for a fill on my organic gel nails. 4. Ornament Calligraphy: … and other Instagrammable moments. Personalized ANYTHING is always fun at events like this and I loved loved loved my Vanity Girl ornament – in pink ink of course. 5. Scent Bar: Remember I talked about personalized anything? The SIMPLY and Nylon team offered a scent bar hosted by Define Me outside by the pool. They custom blended take away scents and also gifted us a generous trio of scents to go in our SWAG bags. They put my custom scent in the freaking cutest little roller ball ever. It’s like the size of a pencil eraser. 6. Yummy Eats: This event was held rooftop (and poolside) at Liberace’s former penthouse residence – and featured tray passed small bites. We got there kind of late so it was mostly deserts by the time we arrived. 7. Music: DJ Dazzler was spinning and the music was the first thing that greeted us when we exited the guilded art deco elevator to the Penthouse level. 8. Cocktails: I’m a vodka girl so I was more than happy to sip on my standard vodka, soda splash of can with a lime courtesy of Grey Goose and Malibu Rocky Oaks was also pouring wine that night. 9. Venue: I mentioned it earlier – but this venue was truly unique. It’s actually the offices of NYLON and SIMPLY but this penthouse with a pool and views of the Hills lent itself perfectly to the quintessential LA rooftop soiree. You can find Maxine here too! Love these! So cute and great dress.